Jarome Iginla knows his pro career is coming to a close. It won't be this upcoming year or the one following, but the 18-year NHL veteran can see the event horizon. He's hungry to find the Cup championship he has worked so tirelessly for, and as a new member of the Colorado Avalanche, the 37-year-old feels he has a good a chance as ever before to finally capture hockey's Holy Grail. Iginla enjoyed his one season spent with the Black and Gold, but when it was time to renegotiate the terms of business, many on the outside looking in would say Iginla made the choice of guaranteed dollars over the best opportunity to win a Cup title. With this group, I think the sky is the limit...When I think of some of the teams that have had success in the NHL in the last five or six years, I think of Chicago; they were a very young, very talented team that moved up very quickly, that had a very talented young core when they won...Pittsburgh was pretty young when they won. Boston had a pretty young core when they won, too. I think Colorado has a lot of young guys, whether in their first year or third or fourth year or whatever, they've been confident and been able to play their way and just keep getting better. I'm excited to be able to come for three years and be part of that, and grow with the guys. It was important, from one side, for my family and I to have that stability, to be able to buy a house and set some roots down again...You don't want to come and just have one shot at it, on a one-year deal...Next year, the year after, I think they just keep getting better and better...I expect to be good for the guys. I won't be taking it easy. I expect to be contributing. The Avalanche certainly have the talent to take that next step in their quest to bring back the Cup to the Rocky Mountains. With young stars Gabriel Landeskog, Nathan McKinnon and Matt Duchene leading the way, coupled with the Vezina-caliber goaltending provided by Semyon Varlamov and Jack Adams winner Patrick Roy pulling all the right strings as head coach, the Avs are hoping to build upon their 112 point, Central Division Champs campaign from this past season and go deeper into the playoffs beyond just Game 7 of Round 1. Iginla aims to provide a sizable dose of professionalism to the young Avs roster by setting an example through his work ethic, tireless attitude and his hunger for a championship. He's taking a gamble by jumping back into the Western Conference, where teams such as the reigning Cup champs Los Angeles Kings, Chicago Blackhawks, St. Louis Blues and the Anaheim Ducks will all provide much stiffer competition on a nightly basis than what the Eastern Conference can pose. The top teams have made improvements to their roster in one way or another this off-season with the aim of dethroning the Kings (which will be no easy task) and making it to a Stanley Cup Final appearance. 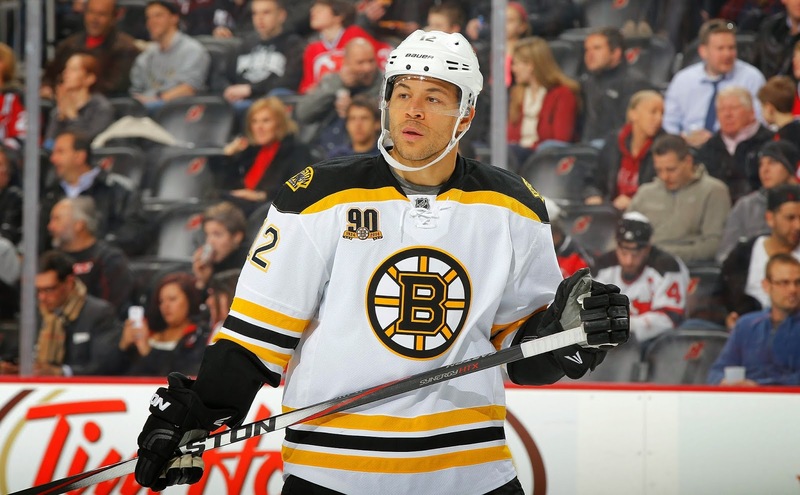 Iginla will make his return to Boston just four games into the season, as the Avalanche are slated to take on the B's in a 1:00 matinee at the Garden on October 13. Whether you cheer him or boo him, that's the right of every fan who pays the money to get into the arena. I'm never one to criticize an athlete for taking the money over loyalty simply because there are usually a variety of factors that play into the decision one way or another. It's never black and white. With him still feeling he has enough in the tank, Iginla wanted to be free from the burden of working under a mercenary contract. I can't fault him for it. That being said, as soon as he scores on Tuukka Rask in the first 10 minutes of the game, I'll be ready to furiously cuss him out, and everything will be right again.